Tfman - text file manager. Performs operations on files through textual representation of file system. Textual representation is in the form of plain text, editable with any text editor and may contain multiple operations of every kind. 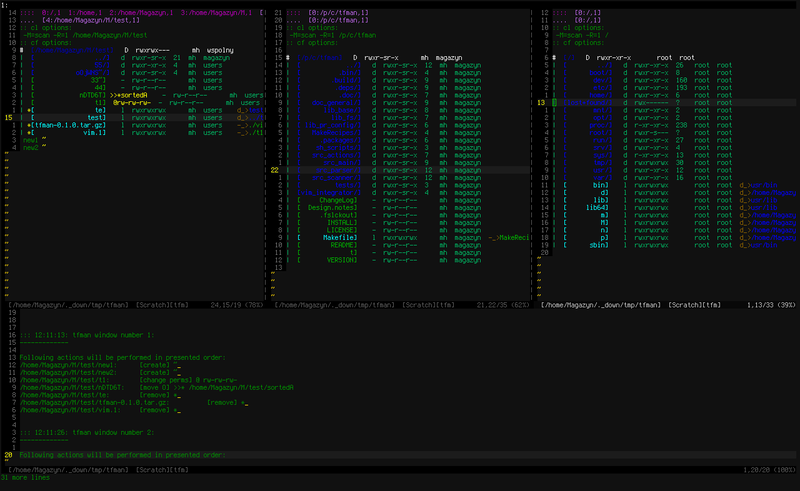 Tfman can be used from command-line or from within Vim as multi-window file manager. It can be combined with tools like Sed or Awk.